Parents and other family members are invited to view and celebrate their child's artwork which was created as part of Wausau School District's Art Cluster program. 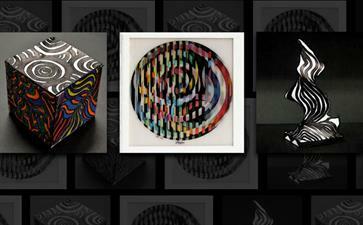 This year, fourth- and fifth-grade students will be creating their own Op Art masterpieces. Reception refreshments served by the Wausau School District. Student artwork is on display through the month of March in the Children's area of the library during normal business hours for everyone to enjoy. Free and open to the public. Call 715-261-7220 for more information.